Kodak Black’s “Expeditiously” has some fans eying Tip’s corner, while others stand pat. It’s rare to see the trading of Instagram shots actually manifest into a tangible piece of music, but lo and behold, Kodak Black has officially cast the first stone on wax. Last night, the divisive Floridian rapper dropped off “Expeditiously,” a track with three-minutes of straight rapping, featuring many lines aimed at both T.I. and Tiny. Yet Kodak doesn’t reserve the animosity for Tip’s team; he also pens responses to Game and Big Boy, who also openly voiced displeasure at Kodak’s recent conduct. There does remain an interesting throughline, which appears to work in Kodak’s favor. Many have become accustomed to young rappers reserving their disrespect for Instagram stories, seldom bringing their grievances to the booth. In this case, Kodak responded in an appropriately expeditious manner, which may very well have taken his foes aback. Of course, that didn’t stop him from providing additional commentary through his favored platform of IG live. 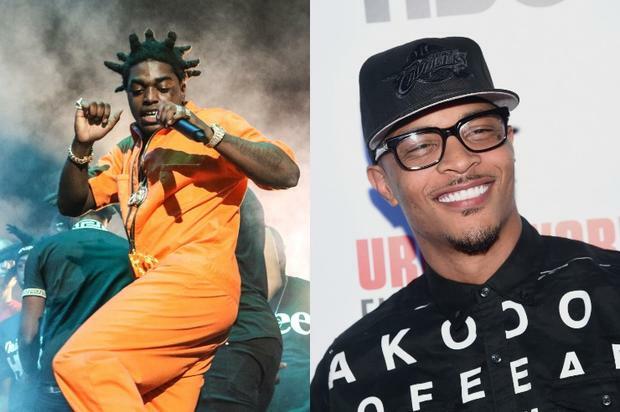 Not long after releasing “Expeditiously,” Kodak proceeded to sound off on Tip, dragging his children into the mess with some derogatory language. Yet T.I. appears to be ready, at least to an extent. As we previously saw with the Mayweather response “Fu*k N***a,” Tip is ready and willing to spit retaliatory bars when challenges. In fact, he recently teased a Kodak diss of his own, though it appeared to be merely scratching the surface. “I’m conditioned to see the vision, you, I don’t care if you eight or under twenty-two,” raps Tip. “All that back and forth, what you trying to get into? I said what I said and I meant it to.” Still, Tip exudes a sense of distinction, and it’s unlikely he’ll match the energy kept by Kodak’s IG Live persona. Admirable as a diss track may be, there does appear to be a dissonance between Kodak’s demeanor on and off the mic. In the end, it’s likely that will be his downfall, insofar as public opinion is concerned.